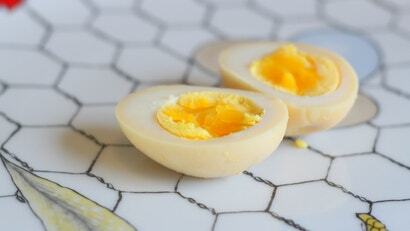 In the case of the hard-boiled egg, the yolk provides all of the flavour. Though it is a reliable and easily accessible source of protein, the white is aggressively bland, and no fun at all without seasoning. Salt (obviously) works well, but if you wish to outright infuse the white of an egg with tons of nutty umami, you should reach for the miso. My utter and complete devotion to the fermented soy bean paste is not a secret, but wrapping eggs in the stuff didn’t occur to me until I saw Samin Nosrat do it on Salt, Fat, Acid, Heat. 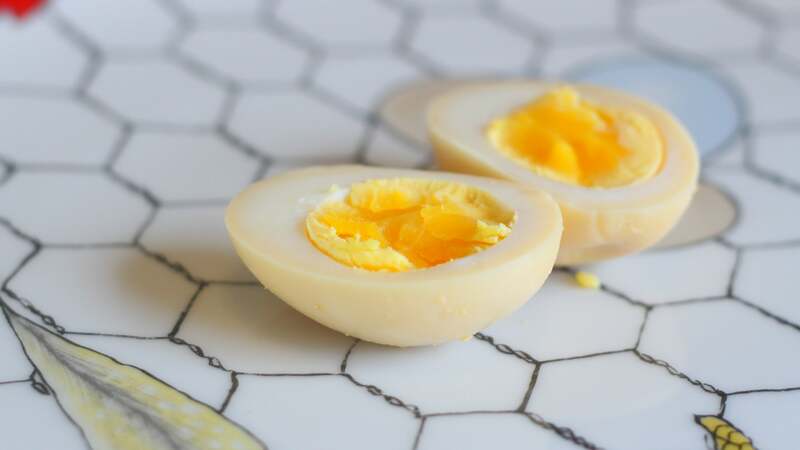 In the Salt episode, Samin meets up with Nancy Singleton Hachisu, and the two of them proceed to wrap hard-cooked eggs in miso, then let them hang out for four hours before gently removing the paste. I tried it for myself, and I can confirm that the result is a salty, funky, flavorful egg, that requires nary a sprinkling of sodium chloride. If you’re thinking “wow, it would take a lot of miso to encase a dozen eggs,” you are correct but, once removed from the eggs, the miso can be used for another purpose, so it’s a very cost-effective use.